Looking for a Single Section Refrigerator? Or….. Looking for a commercial refrigerator? Maybe a glass door refrigerator? There are many manufacturers of commercial refrigeration and many different configurations of reach in refrigeration. Since we sell Hoshizaki reach in refrigeration in North Carolina, I focused most of my information on top selling Hoshizaki commercial reach in refrigeration. Reach In refrigeration is typically used in restaurants for short term food and ingredient storage, as opposed to large walk-ins that store bulk items long term. The Hoshizaki commercial reach in refrigerators available through whiteswarehouse.net are built for heavy duty use and have a more powerful compressor than residential refrigerators. More horsepower means a refrigerator’s storage space cools quickly and stays cold despite constant door opening. This is vital for food safety, and NFS regulations require commercial kitchens to store food products at or below 40 degrees Fahrenheit. What type of Refrigerator is going to be best for your business? Located inside / at prep area. Empty cavity accommodates roll-in rack(s). Prep food, load it on the rack, and roll it all into refrigerator / freezer at once to save time. Great for prepping food in advance and keeping it fresh before service. Located in between kitchen prep areas and service / stocking stations. Roll-thru units have an empty cavity that accommodates roll-in rack(s). Pass-thru units have traditional shelving. Doors on both sides for front and rear access. When choosing the type of doors you want on your reach in, be sure to consider the location of entrances, doorways, and other equipment, as well as how wide the aisles are in your kitchen. Here are four types of reach in refrigerator and freezer doors, and some key points to consider before making your decision. Another important decision to make is door hinge placement. Left or right swinging door? The compressor is the engine of a commercial reach in refrigerator. Keeping this engine working effectively and efficiently requires a combination of maintenance and environment. Some compressors work better in certain environments than others, and purchasing the right unit for the job and location you have in mind is an important decision. Commercial reach-in refrigerators are made with either a top or bottom mounted compressor. Top mounted and bottom mounted compressors have advantages and disadvantages, and it’s important to make your purchasing decision based on where and how you plan to use the refrigerator. Less accessible for cleaning and service, but does not take up storage space. 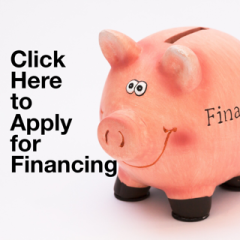 Financing Available for any product! ENERGY STAR PRODUCT AND WHY WE SELL IT! Environmental Sustainability – We are committed to develop original, energy efficient products preferred by our customers while complying with laws and operating our facilities in a safe manner as exemplified by our BS OHSAS 18001 certification. Our multiple Energy Star Partner of the Year Awards further acknowledges our accomplishments. We carry 94 Energy Star rated Refrigerators and Freezers! Commercial reach in Hoshizaki refrigeration come in three configurations: one door, two door, and three door. Doors can also be halved for more compartmentalized storage. When considering what size reach in refrigerator is right for your commercial kitchen, keep in mind that the larger the unit, the more energy it will consume. Energy Star has begun rating commercial reach in refrigerators. Use the Energy Star guide to identify units that are the most energy efficient. Of course, energy usage must be weighed against the amount of storage space you need. Probably the most efficient way to organize your refrigerated storage space is in gradually smaller units the closer you get to the hottest part of the kitchen: the production line. Start with a walk in for bulk storage, then a two or three door reach in refrigerator stocked with daily or weekly supplies, and finish with a one door reach in refrigerator nearest the line for quick and easy access by kitchen staff. All commercial reach in refrigerators have thick insulation to maximize efficiency and cool air holding power. Stainless steel interiors are more expensive than aluminum or galvanized ones, but are stain and rust resistant, can withstand heavy use, and are much easier to clean and sanitize. Whites Warehouse has a great selection of Energy Star ice makers for your North Carolina small business. Contact one of our representatives today for more information on the wide range of models we offer. I enjoy long romantic walks to the fridge!